No trip to Italy would be complete without a quick trip to the factory and a stop to pay my respects to Rino Caracchi at the NCR workshop. Since this was a quick day trip Reno Leone met us at Rino's shop. 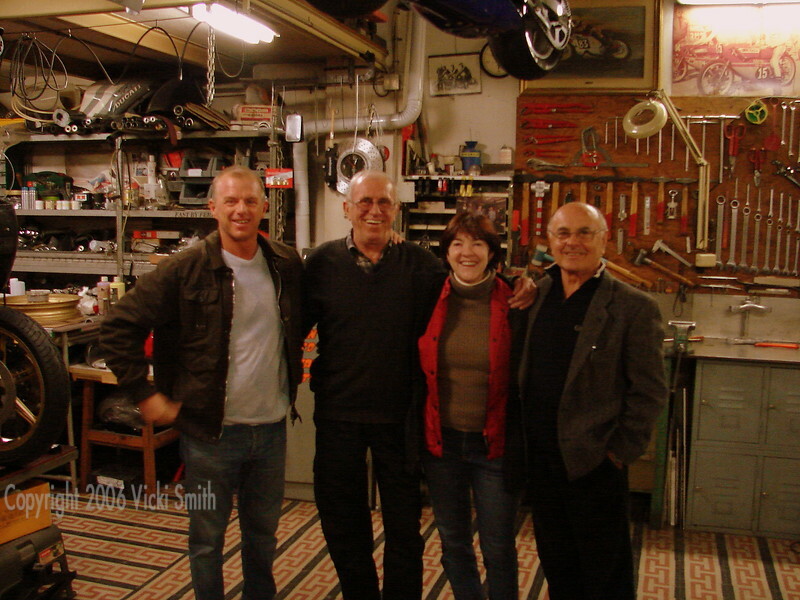 That's Stefano Caracchi (owner of the SC NCR WSBK team, Rino Caracchi, me, Reno Leone. A glass of homemade prosecco or two, a quick inspection of Vicki 6 (the all ready to go already! Motogiro Sicily 2007 Ducati 175SS Rino prepares for me to ride) much hugging and we were back on the train to Florence to meet friends for dinner.